A woman in Florida recently purchased a Visa gift card to use in her online shopping transactions, a sound idea to help avoid identity threat. Although this is a great way to protect your regular credit card from fraud it is important to read all of the Visa gift card fine print before proceeding. The woman tried to use the card online without following the instructions only to discover that the card was voided. When she tried to get her money back from Visa and the store neither were able to offer her a full refund. What happened? Many people use Visa gift cards online, what went wrong? 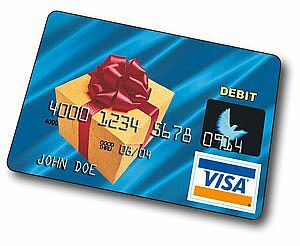 Visa gift cards can take up to 24 hours to activate, although they typically are activated this card did not and as a result the card was voided when someone attempted to use it before it had been activated. The woman recouped some of her money, but not all of it. Remember to read all of the fine print when you purchase a prepaid Visa or Visa gift card. Failure to follow instructions can void the card with no one left accountable for the lost balance. Another tip to keep in mind if you are having trouble using your prepaid Visa online is to go to the Visa website and tie your name and address to the gift card. Some online retailers will not accept credit cards if the card holders name and address are available.